Dark and somewhat confusing at first it gets really good really fast. I have not searched for more info in this series but same as another gem but more humorous one, silicon valley, we hope that both continue. Brilliant cast, performance but aproach to real world of hacking, tool set used and general protocols are is unseen so far in world of tv series. Casting is great but also approach to real hacking techniques and tools is brilliant and finally this is show that made complete and full research into subject. It also resonates in these times of Hactivism and Aaron Swartz so much. Maybe it is personal opinion because of some similarities beetween face profile of main protagonist i dont know but do check out Internets own Boy and see for yourself. Mr. Robot is an American drama–thriller television series created by Sam Esmail. 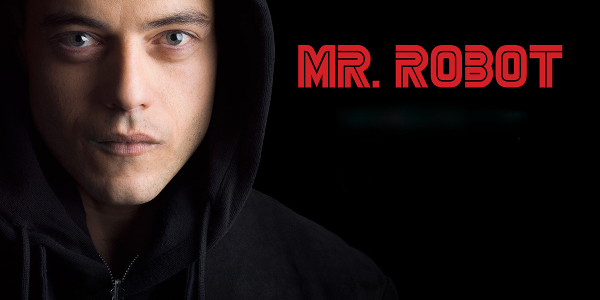 It stars Rami Malek as Elliot Alderson, a cybersecurity engineer and hacker who suffers from social anxiety disorder and clinical depression. Alderson is recruited by an insurrectionary anarchist known as Mr. Robot, played by Christian Slater, to join a group of hacktivists. The group aims to cancel all debts by attacking the large corporation E Corp. I know it really is good like that so be sure to check it out. Story arc is somewhat confusing so be sure to watch carefully. I have not found will this be going on but story seems complete, pitty, it is very good indeed. Next month Silicon Valley season three is out so do watch this until then. We have some more hacking with Jobs like characters of two season terminated Halt and Catch Fire. For Mr Robot thank you very much Mr Sam Esmail. Solve this complex math: 1 + 3 = ?